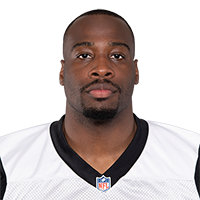 Manhertz is re-signing with the Panthers on a two-year contract, Adam Schefter of ESPN reports. 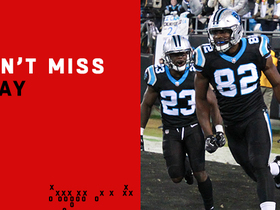 Analysis: The 26-year-old caught two passes on 344 offensive snaps in 2018, highlighted by a 50-yard touchdown reception on a fourth-down pass from running back Christian McCaffrey in Week 15 against New Orleans. With fellow tight ends Greg Olsen (foot) and Ian Thomas both under contract for 2019, it appears Manhertz is headed for another season working as a blocking specialist. Manhertz recorded 52 yards and a touchdown on two catches while appearing in 16 games in 2018. Analysis: Manhertz played 343 offensive snaps this season but was a blocker first and a receiving option second. Save for a 50-yard touchdown reception, he didn't have much of any fantasy impact. He's a free agent this offseason and will likely see a similar role with a team in 2019, though he could see slightly greater usage as a receiving target. Manhertz scored a 50-yard touchdown on his lone reception from two targets in Monday night's 12-9 loss to the Saints. Analysis: Manhertz entered Monday's tilt with merely one reception and three targets this season, making him the perfect candidate to sneak open on a fourth-down trick play that saw Christian McCaffrey find him deep. That play gave Manhertz his first-career touchdown, which should be hugely satisfying for the rarely used tight end. Manhertz (foot) won't carry an injury designation into Sunday's Week 13 game against the Buccaneers. Analysis: Manhertz was sporting a walking boot to start the week and didn't practice Wednesday, but he was able to progress to full practice participation Friday. The 26-year-old should take up his usual spot as the Panthers' No. 3 tight end behind Greg Olsen and Ian Thomas in Week 13. Manhertz (foot) will not take part in practice Wednesday, David Newton of ESPN.com reports. Analysis: Manhertz was spotted in a walking boot Monday, so his absence from practice Wednesday shouldn't be a major shock. The third-string tight end's status shouldn't have many fantasy implications considering he has hauled in just one pass during the 2018 season. However, the Panthers could be down some depth at the position Sunday if Manhertz doesn't progress to play against the Bucs. Manhertz was seen with a walking boot on his left foot Monday, Joe Person of The Athletic reports. Analysis: Manhertz had surgery on his left foot during the summer and it's unclear if he aggravated it Sunday, or if he suffered a different injury altogether. The team has offered no official word on the issue, but Manhertz's status for the Week 13 contest against Tampa Bay could be in question. 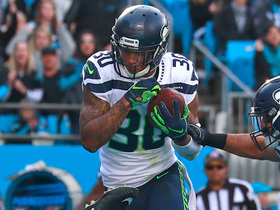 Seattle Seahawks safety Bradley McDougald is able to tip the pass by Carolina Panthers quarterback Cam Newton and bring it in for an interception in the end zone.